Recognizing the importance of the Theravadin tradition as the foundation of Buddhist practice, and in true Rim? spirit, Khyentse Foundation supports efforts to ensure the survival, preservation, and revival of Theravadin Buddhism in countries such as Cambodia, Sri Lanka, and Burma. Much needs to be done, and we hope that the Foundation?s limited support arouses interest and leads the way to action in the Buddhist community. In this issue, we interview scholars and practitioners who have devoted their lives to action in this area. Read about the challenges facing the Theravadin tradition today. We have exciting news about a new Khyentse Visitorship at Oxford University. Also meet Suyin Lee, our beneficiary coordinator, and read reports on Khenpo Jamyang Lobshal’s visit to Washington D.C., and on Wangmo and Richard Dixey’s work in Bodhgaya. 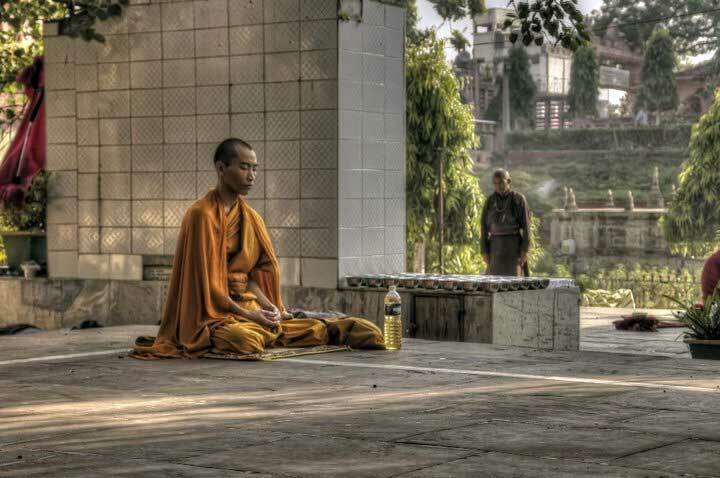 Photo of monk in Bodhgaya by Pawo Choying Dorji. Masthead photo bar: Khyentse Foundation’s logo, the Ashoka lion (explanation below); Rinpoche in Bir by Pawo Choying Dorji; Thai monks marching in Bangkok (photo courtesy of Peter Skilling); the tradition of begging for alms; The Mahabodhi Temple in Bodhgaya by Pawo Choying Dorji (also at right).